Part of Hetty Collection. Crafted from solid wood. Brown finish. Plush cushions. Rolled arms. Nailhead trim. Camelback design. Elegantly curved backrest. Wood bun feet. 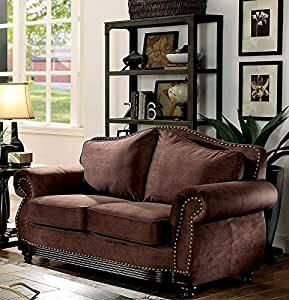 Upholstered in soft brown fabric.